Hammerworks Country Wooden Chandeliers CH203 add a rustic, yet graceful appearance to any room. With their elegant elongated hand turned wooden center and wide sweeping arm span, these Colonial Wooden Chandeliers are ideal in a large dining room or any area with high ceilings. 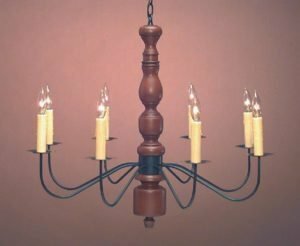 No matter where you choose to place your Antique Wooden Chandelier, we will custom make it to your exact specifications. 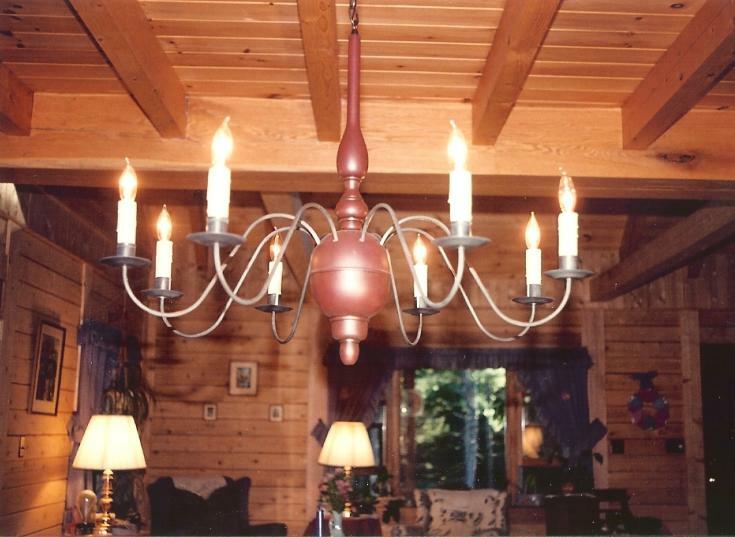 First of all, you can choose from several finish options for your Country Wood Chandelier. Our offerings include various Old Village Paint colors as well as several stained hard wood options. In addition we offer Aged Paint and Antique Glaze options. 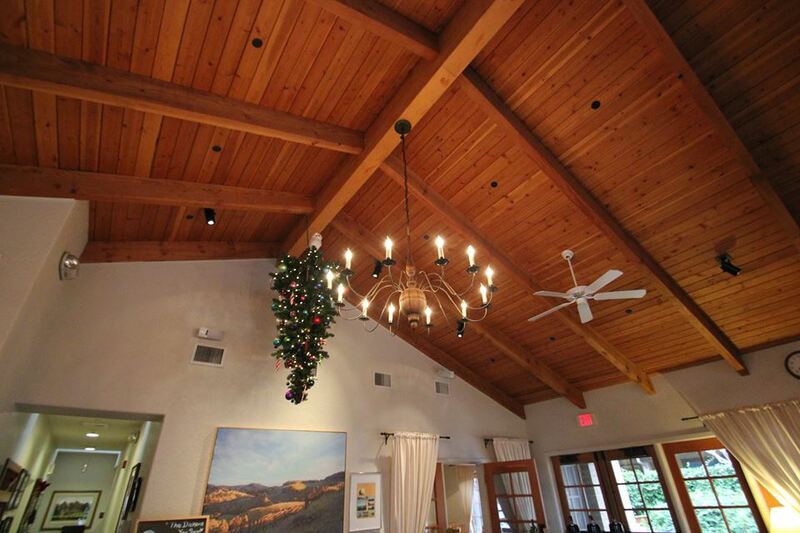 Furthermore, if you wish to supply your own paint or stain, we will gladly use it on your wood chandelier. In addition, you can choose either antique tin or antique brass arms for your rustic chandelier. 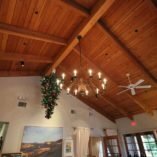 While we provide two feet of matching chain and a ceiling canopy, additional chain is always available for a minimal charge. 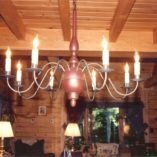 Most importantly, each wood chandelier arm has a socket rated for a maximum of 60 watts. Therefore, no matter which wooden chandelier you choose, it provides ample illumination. 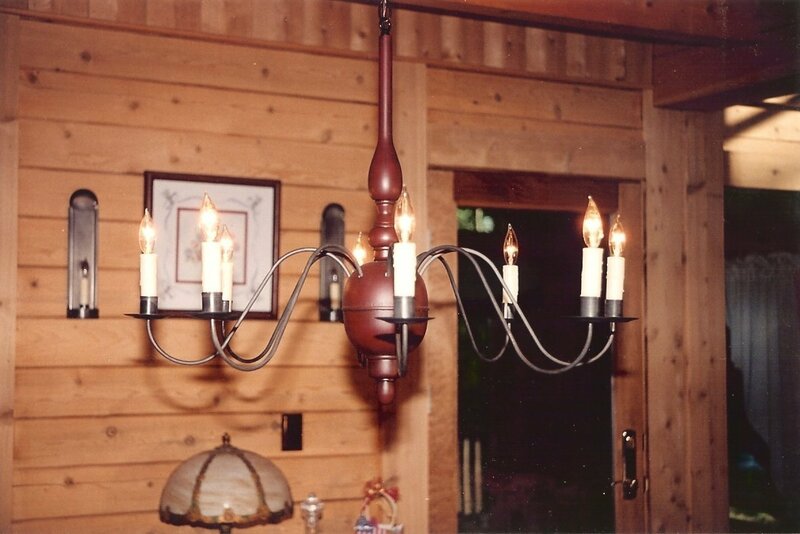 We handcraft our collection of Colonial Ceiling Lights to coordinate perfectly with Colonial Wooden Chandeliers. Perhaps you have an area with low ceilings or limited height clearance? If so, our Antique Tin Ceiling Lights are the ideal solution. No matter what, you will love the charming ambiance of Punched Tin Ceiling Lights CL117 and Pierced Tin Ceiling Lights CL116. In addition, Tin Ceiling Light With Seedy Glass CL114 offers a simple, streamlined appearance. 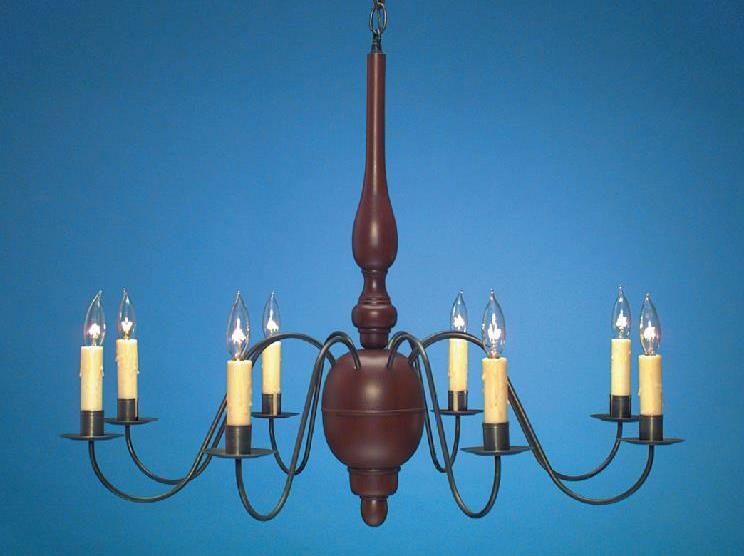 Of course, whichever you choose, we handcraft Colonial ceiling lights in your choice of finish. Therefore, select from the standard antique tin, copper or brass options. Or, on a custom basis we will gladly apply a verdigris or painted black finish. 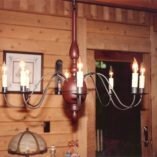 Either way, it will complement your Country Wooden Chandeliers nicely.